Think of what a typical chalet would look like on a picture postcard, or Instagram post. Are you thinking of something all wooden with snow covered window sills and a horse sleigh outside? Well, that’s what you’ll find when booking chalets in Austria. Offering superb skiing from beginner to advance and off piste, Austria also has the traditional appeal of Alpine wooden chalet architecture in most of its resorts. 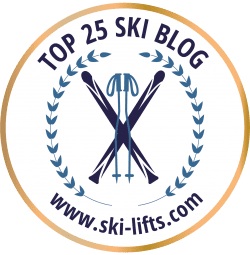 Looking for a St Anton Chalet in the ‘cradle of Alpine skiing’, where skiing was born and is now one of the top five resorts in the Alps? It’s a good choice because booking a chalet in St Anton in the heart of the Tyrol means you can enjoy the history and traditional designs. Yet, St Anton also has the up-to-date resort facilities with over 300km of pistes – and some challenging off piste. Among the Chalets in St Anton, there’s the quaint sounding Raffl’s Sweet Little Home offering an outdoor sauna and proximity to the Nassereinbahn Cable Car. St Anton is part of the wider Alberg with Lech and Zurs both offering top end accommodation. Click above to also find the best hotels in lech zurs.